While celebrities have makeup artists painting their faces practically 24/7, we're often more interested in the products they choose to use IRL. Professionals have a way of applying any product and making it look good, but what about the foundations that do that all on their own? 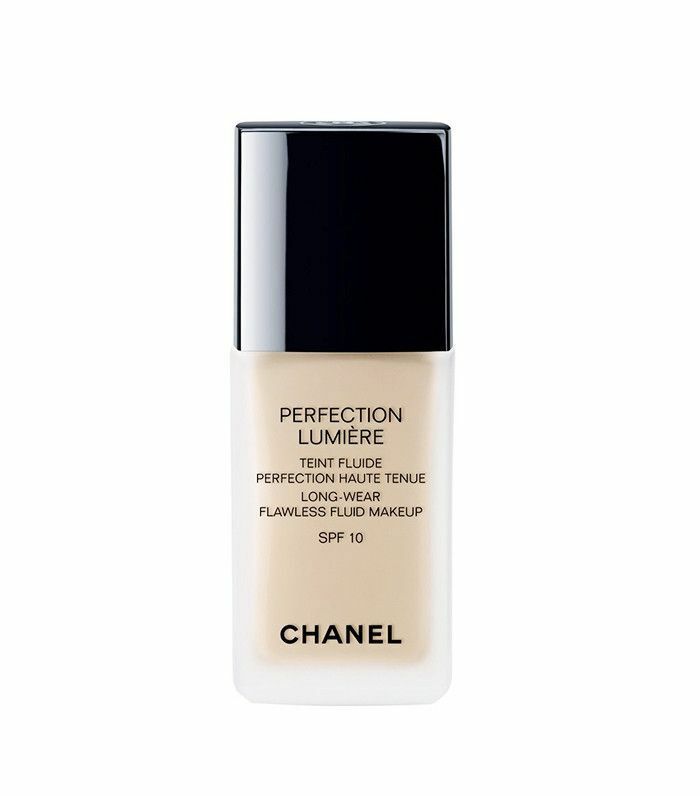 It's so hard to find a foundation that works—it's either too drying, too sheer, too thick, too expensive, and so on. So we did a little research and found out what products celebs choose on their days off, the offerings that look good even without a professional flick of the wrist. What foundations are they wearing when they're caught on a Saturday morning by the paps? See below for the most enviable skin in Hollywood and the foundations they use to stay flawless. Giorgio Armani Fluid Sheer ($62) "adds shimmer underneath the foundation," Kim Kardashian West explained during an at-home makeup tutorial. "I love a little extra glow." 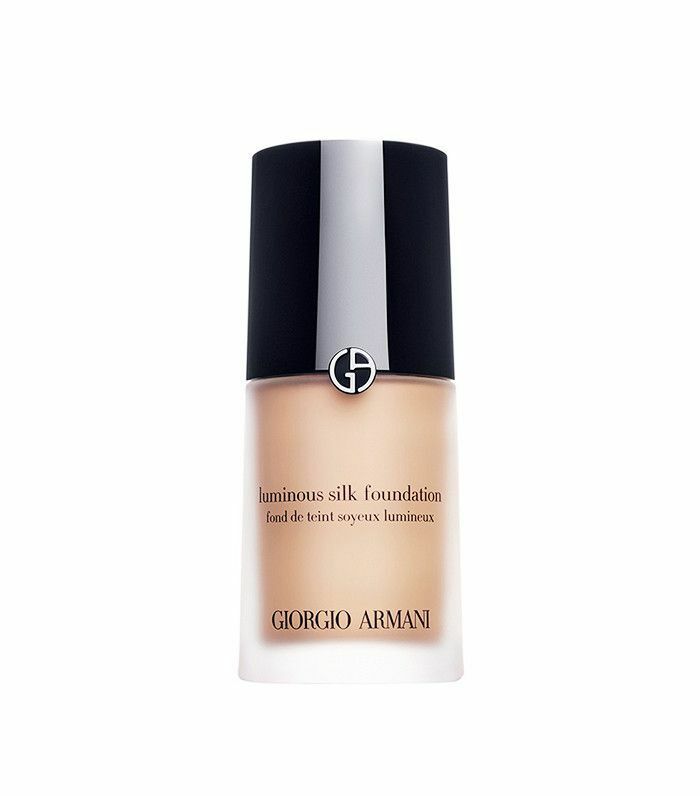 Next up, she buffs on Giorgio Armani Beauty Luminous Silk Foundation ($64). "I always put it on my hand first," she says. Another pointer: She adds a layer to her lips and the back of her neck. 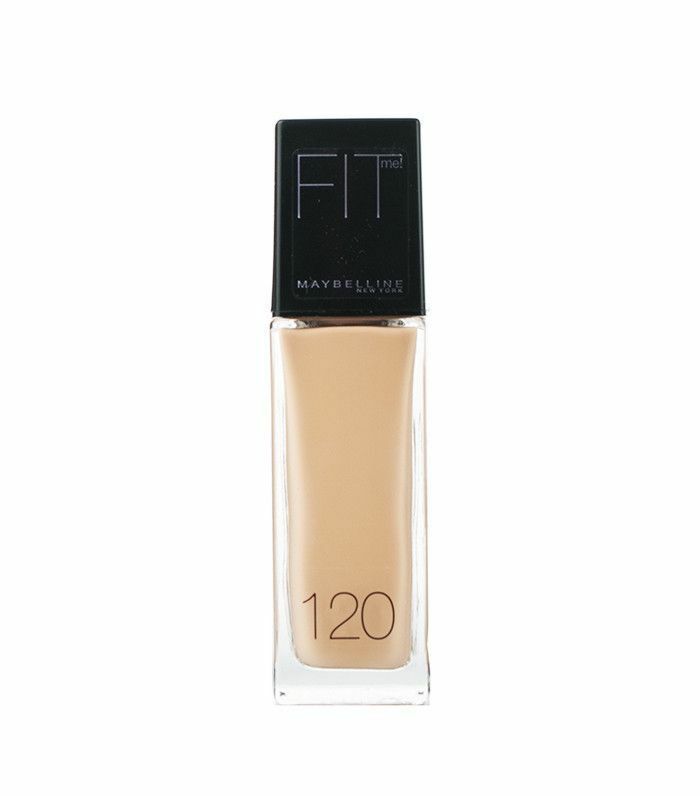 Gigi Hadid, supermodel and Maybelline's brand ambassador, told us she loves the brand's Fit Me! Foundation ($5). "It's just really good, and they have two kinds," she says. "In the day, I use the one that is a little more dewy, and then at night, I'll use the matte one because it's better for when pictures are being taken." Want more? See Gigi's winter beauty secrets. "[Makeup artist Melanie Inglessis] and I have experimented with a ton of different looks at shoots and on carpets, but I'm pretty simple and I'm not one to go outside of the box too much," Lea Michele told us. "I really know what works for me, and I like to stick with that." 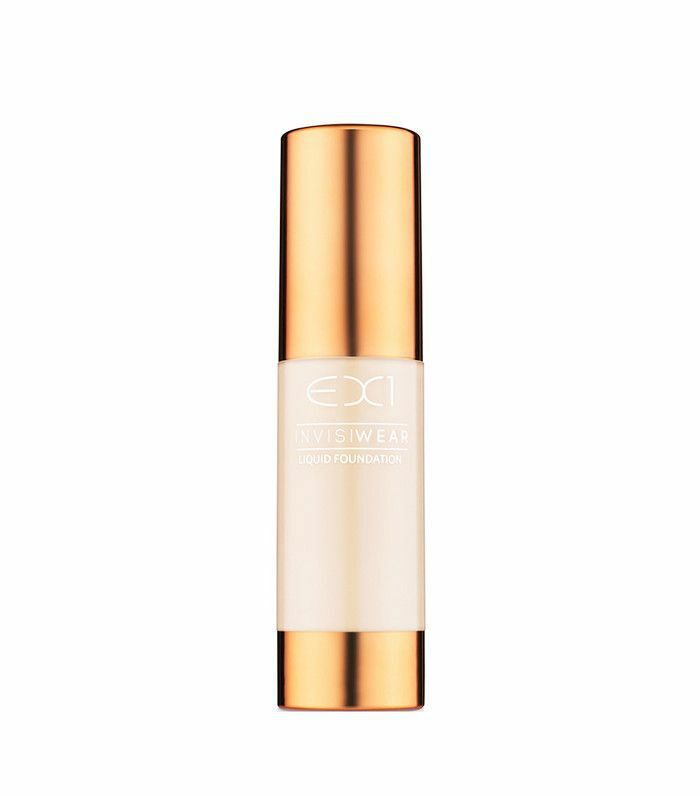 In this case, it's EX1 Cosmetics Invisiwear Liquid Foundation ($30). Hailey Baldwin is another famous face with enviable skin. Luckily, she let her secret out of the bag on her heavily followed Instagram. "Getting fashion week ready today. All it takes is a tap, tap @lorealmakeup," the model posted. 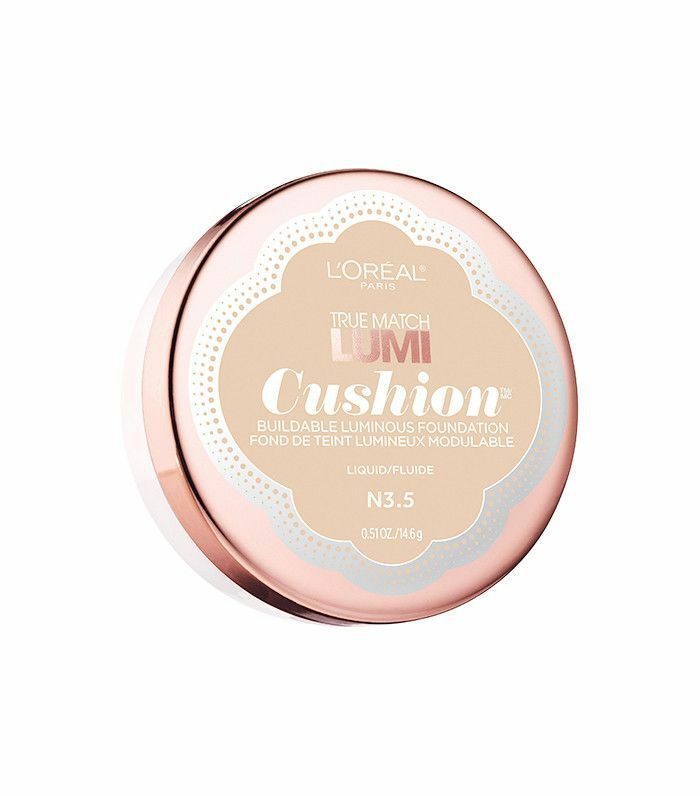 This Korean-inspired liquid compact is so easy to apply and offers really great, hydrating coverage. Ellie Goulding mixes Sisley Paris's Oil Free Foundation ($122) with Chanel's Perfection Lumiére ($55). "They're expensive, but when I'm performing every night, I need quality makeup," she told us. Rihanna slays from every angle—from her outfit to her hair to her skin. And then, of course, her performance. In order to stay glowy, not sweaty, she also swears by Giorgio Armani's Luminous Silk Foundation ($62), says longtime makeup artist Mylah Morales. Because so many celebrities call out this particular foundation, we decided to try it for ourselves. Read our honest reviews. Need more advice? These seven makeup artists just revealed the most photogenic foundations.